Tonight I am sharing a project over at the PaperArsty blog. The theme for the fortnight is Maps and Plans. 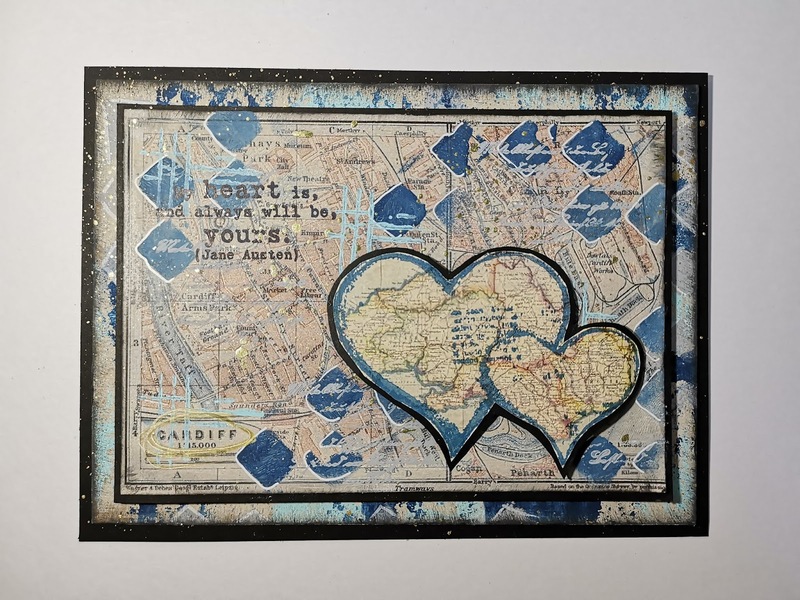 As soon as I saw this topic I knew that I wanted to use a map of my home town, Cardiff. I will always hold Cardiff very close to my heart and this is what inspired my project. Pop over to the blog to see how I created this. Let me know in the comments where you hold close to your heart.